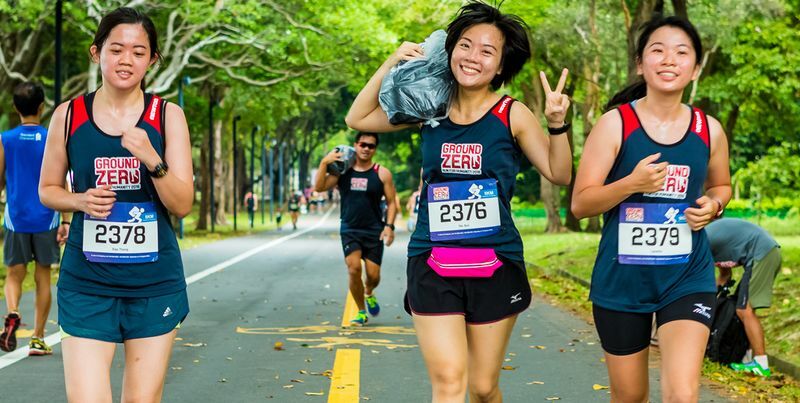 Organised by Mercy Relief and presented by The Hour Glass, Ground Zero Run for Humanity is an experiential run for participants to understand what it’s like for survivors of a disaster. The run will challenge participants, incorporating different elements of a disaster, such as carrying emergency supplies through difficult terrain. Listed below are the details of the event. 10km Race Against Time (Competitive), Participants will complete a 10km course that stretches through pathways and sand, within a crucial time limit of 80 minutes. Runners are given the option of running with a relief pack weighing 5kg to 7kg for the duration of the course. 5km Relief Aid Challenge - Participants will carry a relief pack weighing 5kg to 7kg for a 5km course of sand and pathways. Tag teams of two are allowed in this category, so team members can take turns to carry the relief pack. 1km Dash For Humanity - Each parent and child team will carry a relief pack weighing approximately 1kg. This run is open to children aged 3 to 12 years of age and their parents. The event will be at the Casuarina Grove.